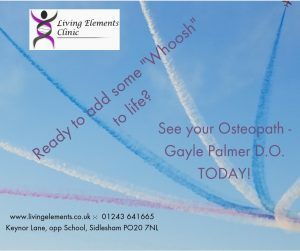 Cranio-sacral Osteopathy is a gentle, highly effective method either used in conjunction with other osteopathic techniques or in its own right to promote health and well-being. This uses the body’s own natural, inherent abilities to heal and re-balance in a unique way. It is a gentle form of hands-on therapy and therefore is suitable for not only treating the very young – for example babies and children, and also the elderly where stronger techniques may be contraindicated; to treating trauma – from a car accident etc. It takes many years of training to become a skilled operator as the ‘listening’ skills to find out what the body is doing and how to effect this need to be highly developed. The head (cranium) and the rest of the body are treated using these techniques. To book your appointment please CALL 01243 641665, preferably on the hour or half hour only.